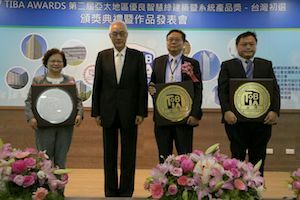 Victoria, BC, Canada – Reliable Controls® is pleased to announce that Authorized Dealer, Lucon Automation Co Ltd., is the winner of the gold medal for Excellent Intelligent Green Building System, from the Taiwan Intelligent Building Association (TIBA). This award is presented to inspire the innovative development of building projects and systems with the advancement of information and communication technologies. Lucon will also represent the Taiwan Asia Pacific Intelligent Green Building Alliance (APIGBA) in the 2018 Excellent IGB System Award competition, which will be held in Korea. The objectives of the Alliance are to promote the exchange of intelligent green building technology and knowledge among Asian countries, to demonstrate the cutting edge intelligent green building technology developed in the Asia Pacific region, and to provide a safe, healthy, convenient, comfortable, energy-saving, and sustainable living environment for people in Asia and worldwide.